Networking event to launch the Women and Water Lecture Series. 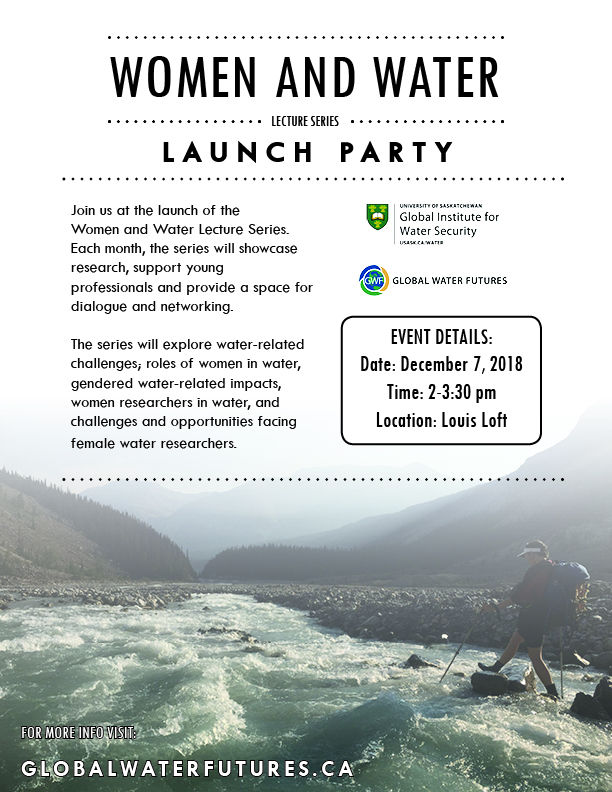 Join us December 7th, 2018 at the Launch Party of the Women and Water Lecture Series. This event will showcase what the series has to offer as well as a space for dialogue and networking.